Dr. David Circle was born and raised in the small town of Kennesaw, Georgia. He graduated from the University of Georgia with a bachelor’s degree in biochemistry. He then went to Cornell University where he received a PhD in biochemistry with his work in RNA structure. He obtained his medical degree from the Medical College of Georgia in Augusta, Georgia, and completed his Emergency Medicine residency at Detroit Receiving Hospital in Detroit, Michigan. 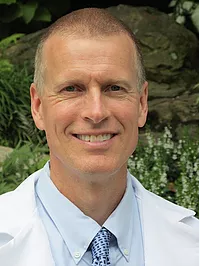 He has been in Greenville, SC since 2002 working in the emergency departments of the Greenville Hospital System and St Francis Bon Secours Health System. He is board certified in Emergency Medicine.